Andy helped me photograph this. Woop thanks Andy. I wanted to photograph it on a nice day, and I had researched it and everything, SATURDAY WAS SUPPOSED TO BE SUNNY! But it was overcast, but whatever, first day of spring, it's a hard day to live up to, so I understand Spring if you just weren't up to being awesome on your first day. You're still my favorite season hands down. Aw my gawwwd, LITTLE HILLS WITH LITTLE BUNNIES! Okay Andy and I did the photos at Jericho and as many people in Vancouver know, there are many rabbits there, and in so many different colors (grey! white! caramel! dark brown!) and they are so incredibly cute and we watched them for a bit and I can't wait to go see them again. And hooray! 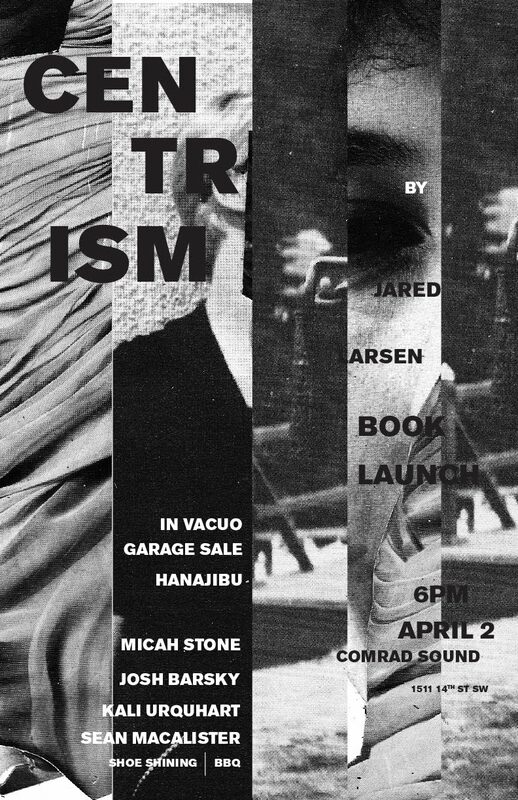 The book I designed (Centrism) for Jared's collages is done! If you'd like a copy, you can contact Josh at strawbooks@gmail.com. Okay that's it and I hope you are well as well.